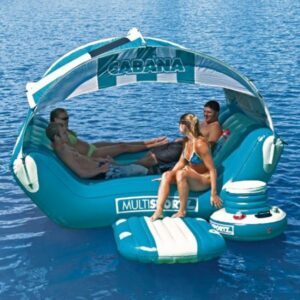 A floating Jacuzzi is an amazing addition to the fun gear that you have already. All you have to do is fill it up with some water, grab some cold beverages, and enjoy it. It will float in the lake as you enjoy all the perks that a Jacuzzi offers. They are lightweight and easy to move. Normally they include a drain in the side or bottom to remove the water from the unit. If you love diving boards, then you fall madly in love with a water trampoline. It is a trampoline that is installed on top of a floating circle. You can climb up onto the trampoline and jump as high as you can into the water. It offers so much fun that even Grandpa will be out there showing the young ones how it is done. There are so many different designs for these type of chairs. 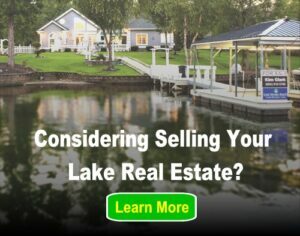 They can be inflatable or made out of buoyant material and easily transported from garage to lake. There are some that you can sit on almost like a hammock, and then there are others that offer a way to keep your legs up so you are in a laying position to relax. Some include cup holder for your beverage, while others offer seating for multiple people. If you love the water, but you also want to be able to play cards and enjoy your company while you are resting, then you should purchase a floating patio set. They offer a way to be out on the water with the comfort of chairs and a table. Sets include seating in a circle, a table in the center and a place to keep you cooler. You can enjoy a picnic lunch, drinks, cards, music and more on the floating patio. And when you are not using it, you can simply deflate it and pack it up! If you want some fun, a floating rocker chair is a half circle that offers two seats. The two people face each other and force the chair back and forth in a rocking motion. You can relax in it or go crazy and try to rock each other into the water. Think of it like a floating seesaw! Floating playgrounds offer crazy fun with all the activities built right in. There are mounds to climb and jump off of, trampolines connected, swings and so much more all on one float! For more floating fun, read out our “Summer Lake Toys” story! Previous post: What is Wakesurfing?